Portraits with James, especially with children tend to have that party feeling. This makes for a relaxing atmosphere, which in turn enables James to capture the easy and natural expressions, which distinguish his photography from the ordinary. 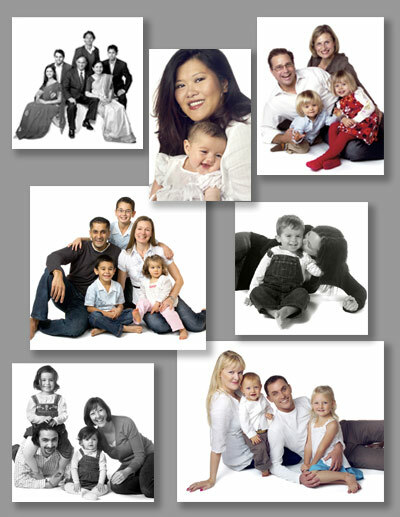 During the session, not only photographs of mum, dad and children but also Grandparents can be taken and even the family pet. Portraits taken in our studio will be treasured for many years to come. You are more than welcome to pop in to our studio to see our samples of our photography.